Ms. Eleanor Jean (Cain) Pope, Peacefully returned home at 89 years of age on the morning of Tuesday, 4th December, 2018 in The Gardens of Roseboro. Eleanor graduated from Roseboro High School in 1947, where she was a member of their women's basketball team. She attended Pineland College in Salemburg, NC and received a diploma from their Commercial Business Department in 1948. Eleanor married George Allen Pope in 1954. Side by side, they operated the Pope's $.05 to $5.00 store in Roseboro for 30 years. They enjoyed 43 years of family, camping, traveling, and serving their community, growing in love together until George's death on 4th December, 1997. 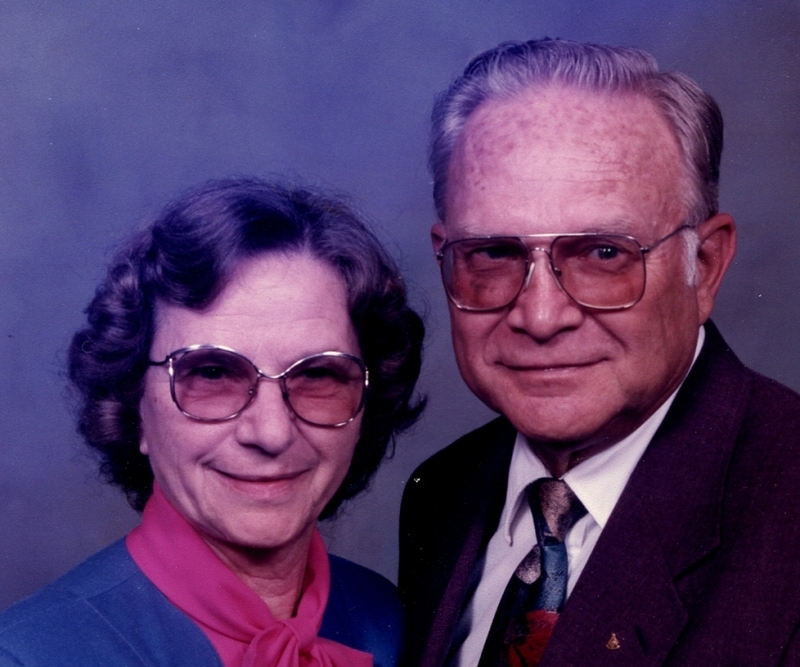 Eleanor worked at the Roseboro Texaco with Sampson-Bladen Oil Company for 15 years and retired in 1997. She was a member of Chapter 229 Order of the Eastern Star in Roseboro, and the Roseboro Baptist Church for over 60 years. Funeral service will be held at 3:00pm Sunday, December 9, 2018 at Roseboro First Baptist Church, 3720 S. Salemburg Hwy, Roseboro, officiating will be Rev. Hampton Faircloth. Burial will follow at Roseboro Cemetery. The family will receive friends from 2:00pm to 2:45pm Sunday at the church prior to the service. She is preceded in death by her parents, Fleta and Thurman Cain, formerly of Roseboro and husband, George A. Pope also of Roseboro. She is survived by her son, David Pope of Roseboro; daughter, Deborah Dudley of Roseboro; brother, Tommy Cain of Roseboro; sisters, Emma Lee Hobson of Fayetteville, NC, Barbara Small of Kannapolis, NC, and Gloria Long of Kemper, Texas; brother, Kenneth Cox of Ashboro, NC; 2 grandchildren, Gabriel Dudley of Roseboro, NC and Julia Dudley of Wilmington, NC; 2 great grandchildren, Garion and Fiona Shook of Wilmington; and numerous nieces, nephews as well as a host of loving friends. The family would like to express their deep appreciation to the entire staff at The Gardens of Roseboro, as well as the hospice nurses from Cape Fear Hospice, for the excellent care and kindness shown to Ms. Eleanor and our family during her time there. In lieu of flowers, donations may be made to Roseboro First Baptist Church, 3720 S. Salemburg Hwy, Roseboro, NC 28382. Services entrusted to Butler Funeral Home of Roseboro.